The reason this post is better than most, is because it’s a personal project, taken on by myself Fanfan, while Allan stays behind for his so-called ‘Man-Time’ (when he plays Pokemon like a kid). Through a month in Chiang Mai I took on an extensive cafe and coffee shop tour in a search for the best cafes in Chiang Mai (as well as a handful of alternatives in the nearby region). This included at least one cafe per day, sometimes two, maybe three, travelling by motorbike for most of them. So they’re all within easy-ish reach of central Chiang Mai, unless said otherwise. Also many will double as dessert cafes and eateries etc, although I’m always there for the coffee, and maybe some cake on the side. My standard order being a Mocha Yen (iced mocha) Waan Noi (a little bit sweet) although I won’t go into much detail of the coffee itself. As everyone’s taste is different. Instead I look more at the theme, concept and design of the cafes, along with the surrounding settings. And here I have featured some of the best cafes in Chiang Mai from my month of cafe exploration. Starting with the popular coffee streets of Nimman and central areas and working out. The iBerry Garden is an undoubtedly unique and whimsical experience, inspired by the owner Dom, who is a famous comedian in Thailand. And this cafe I feel epitomizes the quirky and fun appeal that Nimman has with the cute Asian crowds who are always taking selfies next to things to the fixtures out front. The prices are higher than most, and the menu focusses primarily on their famous iBerry ice creams which are known throughout Thailand. Ristr8to Lab are well known as “Specialty Coffee Crafters” which specialize in brewing bars, filtration techniques, along with their inventive ‘Good Spirit’ menu, which is a winner with Allan. Think Black Martinis, Dirty White Russians, and Shaken Irish Coffees. Otherwise it really is a cafe for the coffee aficionado, and prices are higher than anywhere I know, yet they are still ridiculously popular and busy, even after opening a second shop around the corner on Nimman Soi 3. “Immerse yourself in a magical world of wonder, a world where dreams come true“. ‘Waan Cafe’ which mor or less translates as ‘Sweet Cafe’, is one of the newer additions to Nimman Road on the quieter side of Soi 13. This is where it opened up due to previous success with the original Waan Cafe outside in the Hang Dong district. The cafe is small and bright, with floor to ceiling glass walls letting in lots of light, and there’s an important underlying theme of goats, for the goat enthusiasts out there. Cheevit Cheeva would be best known for its Bingsu, which is a popular Korean shaved ice dessert, with toppings of chopped fruit, condensed milk, along with other bits. And in Thailand mango would always be the popular chopped fruit topping, no different to Mango sticky rice, although Durian does appear on the menu, when in season, which is a rare treat for any sweet tooth. Otherwise they have the usual coffee menu, as well as teas and Italian sodas. Located inside a constructed Barn, this bright and spacious cafe is found in a leafy garden, out near Wat Suan Dok (a short walk far from Nimman). 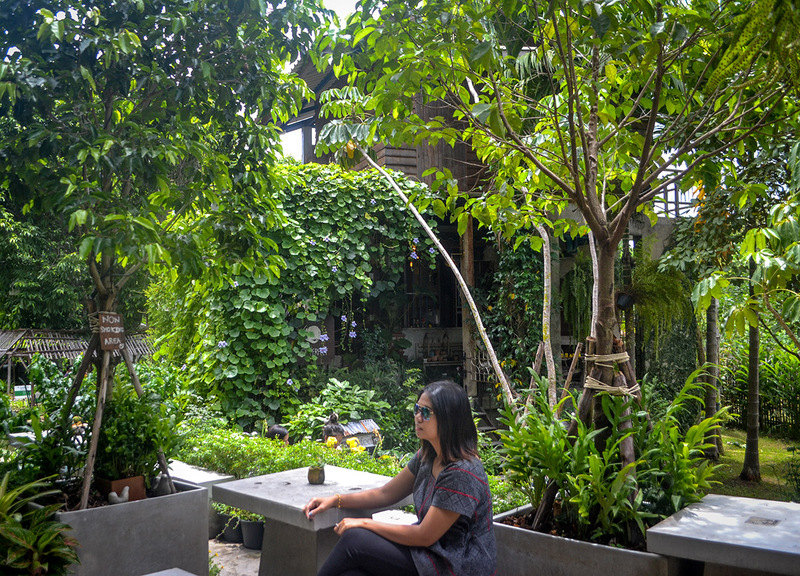 And it does make for an easy escape to the tranquility of the less touristy backstreets of suburban Chiang Mai, and even offers a bit of rustic charm. It’s even worthwhile making a day of it when coupled with nearby Wat Suan Dok temple (and maybe Papa Curry). It really is hard to believe that Clay Studio’s “Coffee in the Garden” is located in the chaotic old city area of Chiang Mai (near Wat Fon Soi) as it looks more like a remote temple ruin in the far-flung forests of Thailand, Cambodia, or Bali even. And while the clay and terracotta surroundings started off more as a sculpture factory, the weathering and purposeful neglect, along with the overgrown shaded surroundings, makes the place look almost ancient. The “Woo Cafe, Art Gallery and Lifestyle Shop”, to give its full title, is located in a historic riverside area of Chiang Mai, not far from the better known Sala Hotel in the area. Where the cafe’s main concept is as a contemporary art feature where “creativity and socialising combine to form a unique state of tranquillity”. It no doubt looks exciting. And while primarily a cafe, they are more famous for their extensive menu of baked goods and tasty cakes. Thamel Cafe, named after a famous area of Kathmandu, is a Nepalese coffee-house found on the second floor of the three-storey Warorat Marke,t not far from the riverside. Where the market alone is worth the visit, given its more local than most, and it’s a great place to pick up some Sai Oua and Northern Chilli Dips. And the cafe itself is cosy, and ambient, I guess, and as expected with its theme, it is also a bit hippy-ish. But not to an excruciating degree. Bringing coffee and serene scenes to the banks of the Ping River 🙂 This lesser known cafe is perfect for some casual coffee, and maybe a picnic on the lawn which overlook Chiang Mai’s passing Ping River. It’s definitely one of the more relaxed options on this list, and the veranda seating at the venue itself would be a good quiet spot for getting some work done, without the bustle and distraction of the better-known cafes of Chiang Mai. This place is just a stone’s throw from Wat U Mong, found in the leafy outskirts of the city, away from the noise and annoyance of central areas. Again it is found within a decent sized compound, where individual seating spots are found inside cabanas, patios and small huts, which circle the perimeter of a central lake. There’s also a fun slide. While primarily a cafe, they also have a bakery and a burger bar on-site. The scenic setting of Old Chiang Mai Cafe is alone worth the visit, and the same goes for the laid-back atmosphere in the surrounding neighbourhood (found not far from Wat U Mong). As the cafe is in fact part of Baan Kang Wat, a cute artists’ village, which hosts handicrafts and public workshops daily, as well as a morning market every Sunday. And the vibe here is very much “Ta Ton Yon”, as they say in Chiang Mai, which means “chilled” or “slow-moving”, and it’s really just a charming area with its green mountain backdrop. Found in a large compound on the Canal Road, this contemporary cafe is bright and breezy, beneath a shelter of leafy trees. Although the main selling point of ‘Mao’ would really be its mixed Mao drinks, where ‘Mao’, more or less, means ‘drunk’ in Thai. And here you get to blend your own drinks, as the coffee, milk and alcohols are all served in separate containers, to then be mixed together. I went with the Kahlúa, which didn’t really get me Mao, so maybe try a double. ‘Baan Suan Ka Fe’, which more or less means ‘Orchard House Coffee’, is found inside wooded area outside of centre, in the Doi Kham hills, where it sits on the banks of a passing stream. It is a bit out of town (towards Royal Flora Ratchaphruek and after Wat Phra That Doi Kham temple). Where the scenes would be best described as tranquil, as here you really escape the city, although the cafe itself can also be busy at times, as it also doubles as a restaurant. We actually featured a full post on this experience last year (check here) as it really is a day trip from central Chiang Mao. But is as a must for coffee lovers, and Allan was a huge fan as he pointed out that “not only did they serve up some top-notch coffee, but they also let me live out my Ewok dreams. As the Giant tree house coffee shop is literally, found up a tree”. It’s definitely a unique cafe experience, and it triples as a hotel and a zip-line destination. A fun day out. Actually, this cafe is not even called ‘Love Cafe’, but I really don’t know the name, given it was just a quick coffee break along the mountain road back from Mon Jaem (during one of our Chiang Mai road trips). But this is more of an example, to show how widespread the cafe culture goes in Chiang Mai, where even in remote mountains you’ll never be far from some unique coffee shop experiences. I’d go as far as saying that Chiang Mai’s one of the best cafe destinations in the world, when it comes to diversity and innovation. I can say that my favorite cafe in your list is the Clay Studio Garden. I super love Thai culture and Clay Garden has that vibe where it’ll take you to ancient ruins. 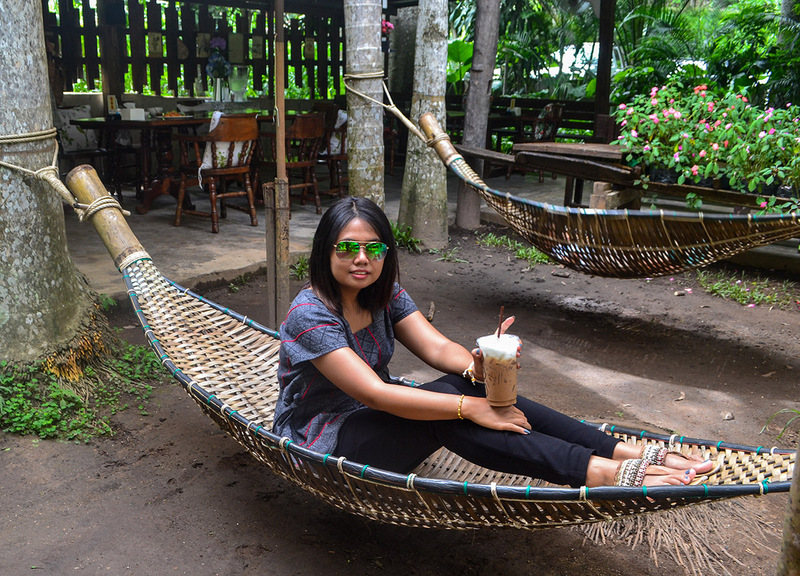 So once you’re done exploring Chiang Mai this place is really perfect to drink coffee and to recharge. I think there might be a few spelling errors here and wrong addresses. This list would probably be better suited for those who wish to take selfies. The coffee at many of these places is just blah. Many of the truly outstanding coffee shops have not been included. Come back for a second visit and explore. Sorry you don’t approve ‘coffee lover’, but it is about the “coffee shops” and not the coffee. As in the title. (Personally I like my coffee black and near a toilet – Nescafe red would do). Anyway, any help on those addresses and spelling errors would be much appreciated. Last place looks great. Wish there was an address.